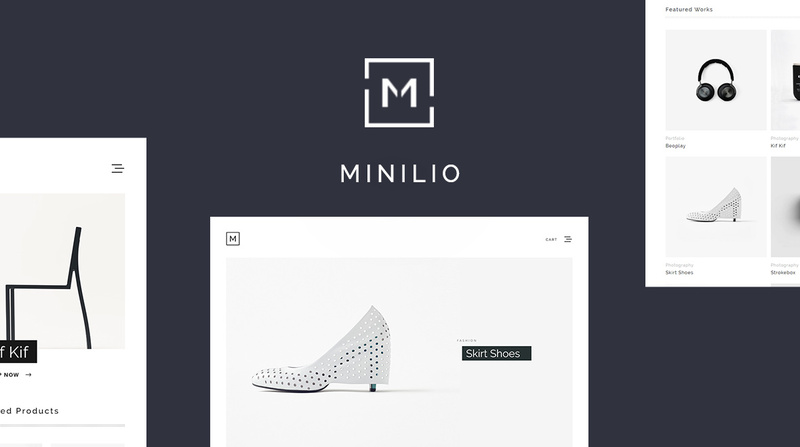 Minilio is a minimalist perfect pixel theme that designed for portfolio, online store, agency and other work/product focusing websites, it comes with tons of features like hero content, infinite scroll, parallax background, unlimited grid layouts, etc. It’s 100% responsive and retina ready. ✔ WooCommerce Integration. Deeply integrated with WooCommerce. You can sell any goods in all shapes and sizes, physical or digital. Product image size can be changed easily in the admin panel. 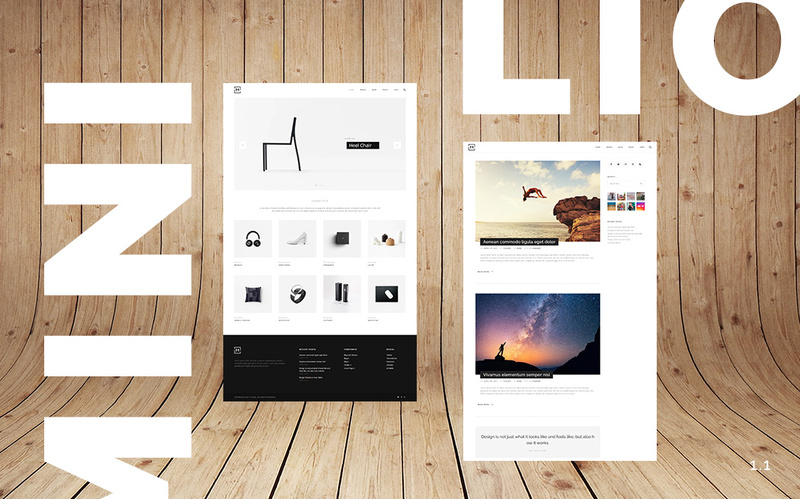 ✔ Drag and drop page builder. Easily creating responsive column based content, using the widgets you know and love. Your content will accurately adapt to all mobile devices, ensuring your site is mobile-ready. 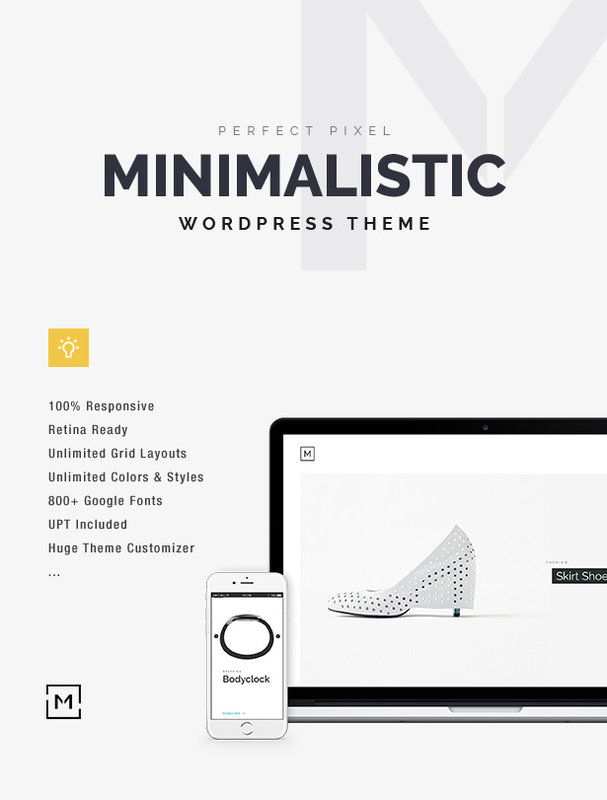 ✔ Huge theme customizer. No more toggling back and forth between theme options page and the public-facing side of the site. The theme Customizer allows you to tweak theme’s settings and see a preview of those changes in real time. ✔ Live Updates. Get notification on theme updates, view update details, and update your theme to latest version, all from inside of WordPress. ✔ On-standby sticky header. Smarter sticky header that looks like live, stay hidden on the screen, show up whenever needed. Works on both desktop and mobile. ✔ CSS animation. Add animations on your page elements easily. You will be able to select from over 40+ different animation types. ✔ Parallax background image. Add parallax background images to the header, the footer, the page title bar, hero content, main content section, pretty much anywhere if needed. 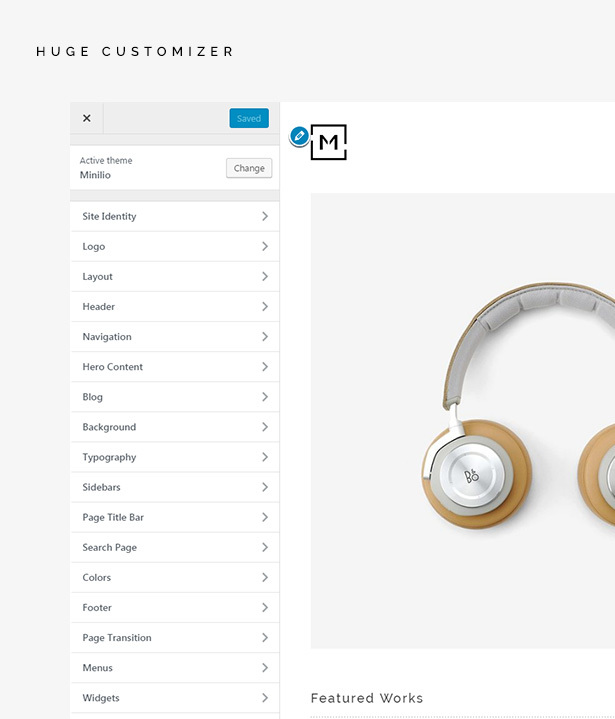 ✔ Animated page transition. Make your site visitors feel more comfortable while navigating between the pages. You can choose to upload your own loader icon if needed. 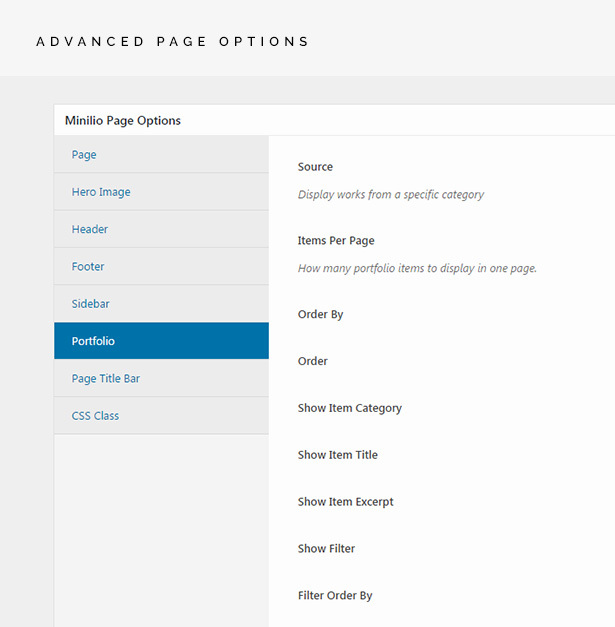 ✔ Advanced page options. 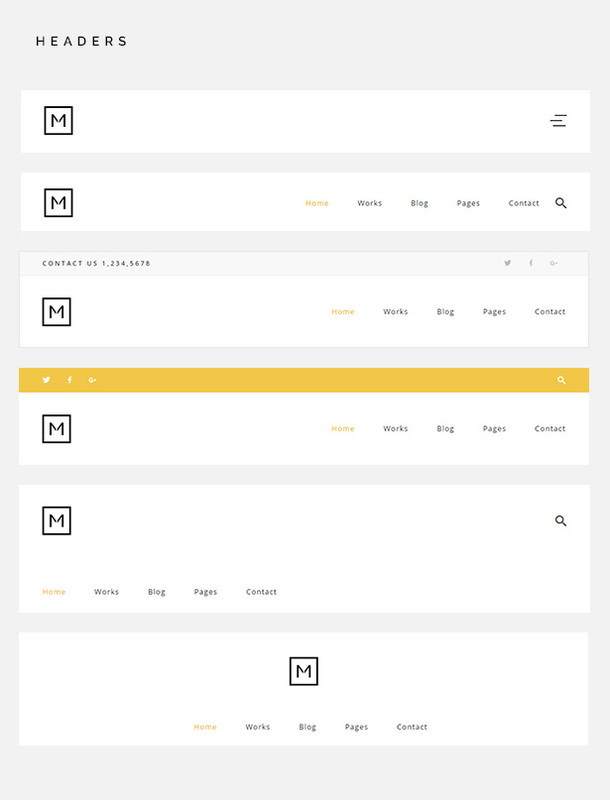 Lots of theme settings are available on a per-page basis as well, gives you the flexibility to create unique pages easily. ✔ Art direction slider. You can set different slider image size for smartphones, tablets. Furthermore, by enabling this feature, your site will start serving optimized images for mobile devices, thus loading faster. 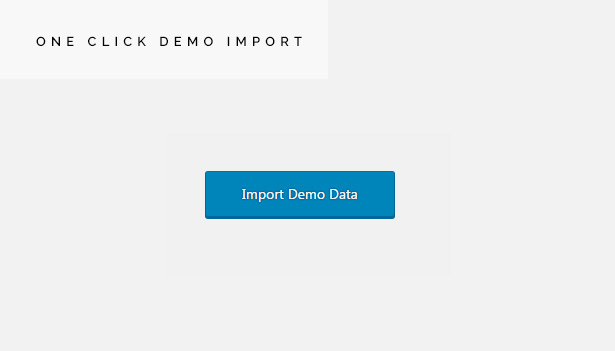 ✔ One click demo import. Replicate the demo site with one click. 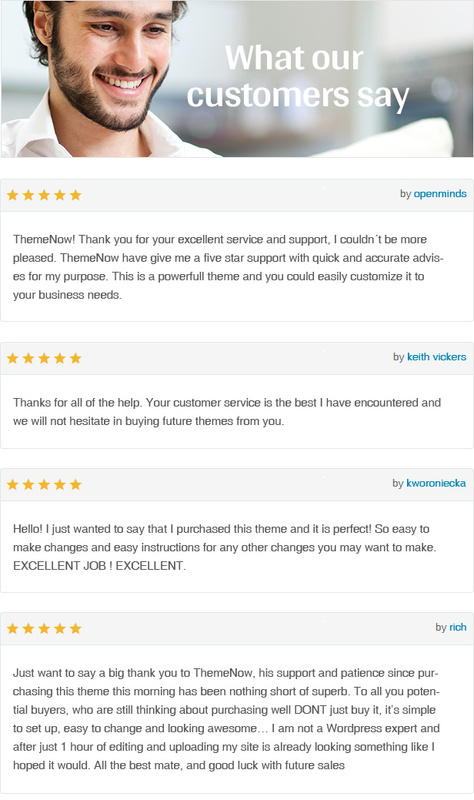 ✔ Include premium plugin Ultimate Post Thumbnails – $19 value. Best thumbnail plugin on the marketplace, gives you the option to add multiple featured images, turn product thumbnail to responsive slider, optional PhotoSwipe lightbox, etc. ✔ Mobile menu. Individual mobile menu settings that allow you to display a different menu on mobile with a different style. ✔ Slide-out footer. You can choose between a static footer and a slide-out footer in theme Customizer. ✔ Menu icons. Gives you the ability to add icons to your menu items. There are 5 icon sets and 1000+ vector icons. ✔ Footer builder. Allows you to create the footer via page builder, and take completely control of your footer columns, widgets. ✔ Store notice. Show a site wide notice on the top. Handy for sales, announcements, etc. ✔ Contact forms. Display a contact form anywhere you want. Support multiple contact forms, and you can customize the form and the mail contents flexibly with simple markup. The form supports Ajax-powered submitting, CAPTCHA, Akismet spam filtering and so on.